Jimi Sounds Like A Rainbow: Hendrix For Kids The guitarist's story is know to many adult fans. 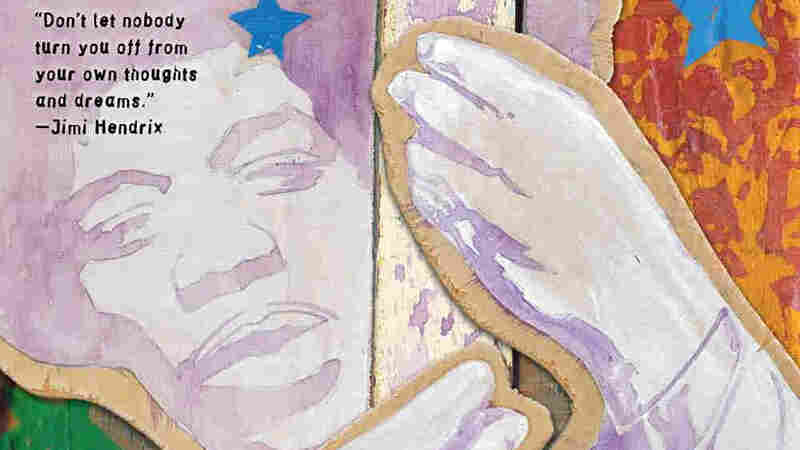 But now, the story of young Jimi Hendrix's is now told in a new children's book by author Gary Golio and illustrator Javaka Steptoe, called "Jimi Sounds Like a Rainbow: A Story of the Young Jimi Hendrix." In 1956, 14 year old James Marshall Hendrix was in his Seattle home, listening to a thunderstorm raging outside. For a moment, he thought he heard a woman's name being blown in the wind-- Ten years later, James changed his name to Jimi Hendrix and formed the band, The Experience. When they debuted at the Monterey Pop Festival in 1967, Hendrix set his guitar on fire and began a new chapter in the history of rock. He died three years later of an accidental drug overdose. The guitarist's story is know to many adult fans. 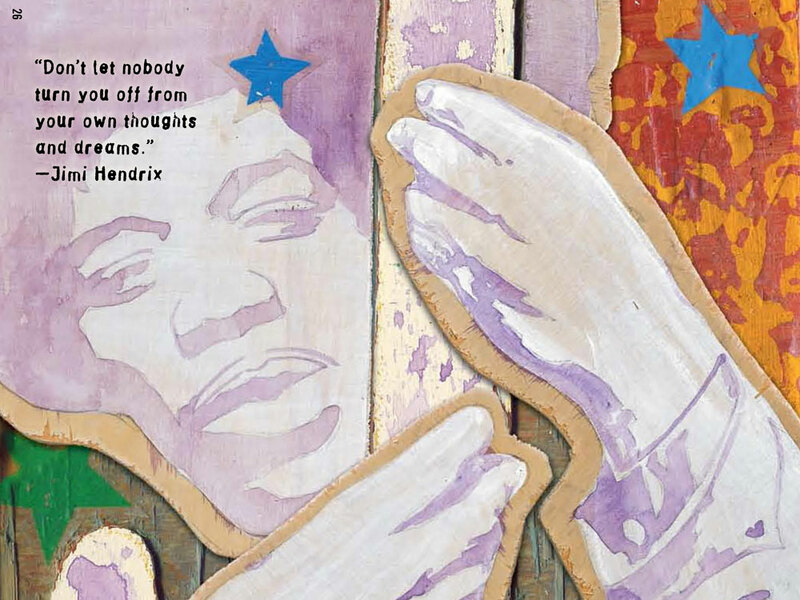 But now, the story of young Jimi Hendrix's is now told in a new children's book by author Gary Golio and illustrator Javaka Steptoe, called "Jimi Sounds Like a Rainbow: A Story of the Young Jimi Hendrix." In addition to writing children's books Gary Golio is a children's therapist. As he tells Weekend Edition Saturday Host Liane Hansen, he feels that telling Hendrix's story to children helps them find their own path. "Many of the kids I see if I say to them, what do you want to be when you grow up? Alot of them say 'I don't know'," he says. "If you don't have a goal as a young person, you're really adrift. Jimi had nothing materially, he was quite poor, but in his imagination, inside of himself, he lived a very rich inner life. Golio says that there are many important lessons to be learned from the young Jimi Hendrix. "If you pass through the mythology about him, his childhood reflects all the values that we want to teach our children about. Persistence, and loving what you do, and having goals, positive goals, and investing yourself. That's the way I approached it."